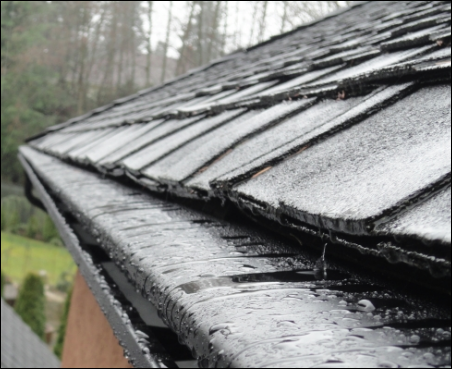 LeafPro offers a revolutionary gutter protection system for your home. With LeafPro Gutters, you can enjoy your home without having to worry about cleaning your clogged gutters! LeafPro gutters are guaranteed not to clog for as long as you own your home. Our gutter system works on the principal of liquid adhesion. Rainwater flows into the gutter trough and deflects debris such as leaves, pine cones, needles and twigs which are often collected in conventional gutters by rainwater. No more clogs, and no more gutter cleaning, guaranteed! LeafPro gutters are fastened to the fascia board using non-corrosive brackets, ensuring a secure, attractive installation. Your roof and shingles are not affected, nor is any roof warranty you may have. Not only will you love the way LeafPro gutters work to keep your gutters clear from clogs and debris, you'll also love the way they look! Our gutters are all custom fit for your home, with plenty of colors choices. LeafPro gutters are made of heavy-duty aluminum, making them very durable. LeafPro is clearly the best solution for your gutter challenges. Contact Us for more information, or Request a FREE ESTIMATE!